Summary: Presenting instances in the Gospels where Jesus claims Divinity. PREMISE: Jesus claimed to be the Son of God. PURPOSE OF ARTICLE: To show, from the Gospel accounts, that Jesus claimed equality to God and proclaimed his own Divinity as the Son of God. Did Jesus claim to be the Son of God? Ever? This is a point of contention amongst Christians and non-believers alike. It has spawned countless novels, movies, treatises, conspiracy theories, essays, rebuttals, and articles. While it is easy to point to one of the writings of Paul or Peter to prove Jesus’ Divinity, some Christians wonder: what did Jesus himself have to say about…well, himself? Would he be content with being remembered as a prophet? A miracle worker? A wise teacher? Forget the Council of Nicaea. Forget the debate about whether the Synoptic Gospels align with John’s account. All of that can be discussed later. Today, we will show that, from the Bible alone, you have a clear record of an authoritative man who knew what his mission was and indeed claimed to be the Son of God. His reply? “I and the Father are one” (v. 30). This statement is hardly ambiguous, and the Jews know it. In their minds, this carpenter has just claimed to be equal with God, and they are so incensed at his blasphemy that they attempt to stone him according to the Mosaic Law: “It is not for a good work that we are going to stone you but for blasphemy, because you, being a man, make yourself God” (v. 33). This entire conversation is essential to our argument. In it, the Jews admit that Jesus has just called himself God, and Jesus paraphrases his earlier remark as, “I am the Son of God.” If more Christians were aware of this passage, they would realize that Jesus simultaneously claimed to be the Son of God and equal in power to God the Father. At first glance, especially for English readers, this statement makes little sense. Grammatically, would it not read better as, “Before Abraham was, I was”? The Jewish audience interprets this as blasphemy and seeks to stone him, but he hides and leaves the temple. 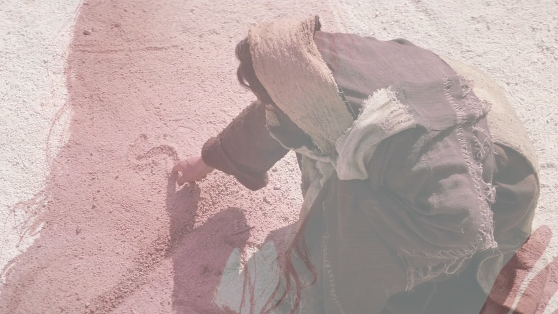 He later invokes this sacred name in the Garden of Gethsemane (John 18:6), causing his captors to stumble to the ground in fear, and again in Mark 14:60 when asked by the Jewish high priest if he is indeed “the Christ, the Son of the Blessed One”. 3. Jesus commends those who recognize his Divinity. During his earthly ministry, Jesus commends Simon Peter for saying, “You are the Christ, the Son of the living God” (Matthew 16:16). If Jesus did not believe that he was the Son of God, he would have immediately corrected Peter. Yet in Matthew 16, he agrees with Peter and declares, “flesh and blood has not revealed this to you, but my Father who is in heaven” (v. 17). After Jesus’ Resurrection, the disciple Thomas doubts whether Jesus has really risen. But when Jesus appears to Thomas personally and shows him the nail scars in his hands and feet and the spear wound in his side, Thomas immediately worships him and exclaims, “My Lord and my God!” (John 20:28). Jesus does not correct him for this. In fact, Jesus commends him for his faith. Jesus also calls himself the “Lord of the Sabbath” when questioned about his authority (Matthew 12:1-8, Mark 2:23-28, Luke 6:1-5). There is only one Lord of the Sabbath, and that is the one who instituted it: God. Jesus calls himself greater than the prophet Jonah and even King Solomon, the wisest man who ever lived (Matthew 12:39-42). Who could possess such wisdom but God? He claims to have the authority to forgive sins, which only God can do (Luke 5:23). In Mark 10:18, he responds to a man who calls him “Good Teacher” by saying, “Why do you call me good? No one is good except God alone.” He is implying that he is indeed equal to God. He views himself as the embodiment of Isaiah 61, a prophecy about the Anointed One. In Luke 4, he reads, “The Spirit of the Lord is upon me, because he has anointed me to proclaim good news to the poor. He has sent me to proclaim liberty to the captives and recovering of sight to the blind, to set at liberty those who are oppressed, to proclaim the year of the Lord’s favor.” Then he says, “Today this Scripture has been fulfilled in your hearing.” The people seek to stone him for saying this, because they understand that he is identifying himself as the Anointed One. He calls himself “the Way, the Truth, and the Life” (John 14:6). He promises that the thief on the cross will be with him in Paradise (Luke 23:43). This is a promise that only an omniscient God could make. Eighty-five times across the four Gospels, he refers to himself as the “Son of Man”, a title denoting incredible significance and a Divine mission (Daniel 7:13). This is just a collection of some of the more emphatic statements made by Jesus regarding his Divinity. There was so much more that he said regarding this issue, and there was so much that he did. He fulfilled three hundred fifty-three distinct Old Testament prophecies. He worked countless miracles. He demonstrated the divine attributes of omniscience (Matthew 26:34), omnipotence (John 11:43), and omnipresence (Matthew 28:20, John 1:47-50). But why didn’t he just flat-out say “I am the Son of God” to everyone he encountered? There are two reasons. First, it would have gotten him nowhere, humanly speaking. The Jewish people, who had no concept of a Trinity, would not have understood what he meant by “Son of God”. Furthermore, God himself appeared to the Israelites on Mount Sinai (Exodus 19:18), and what did they do forty days later? They made a golden calf as an idol. And if fulfilling hundreds of prophecies, working miracles, demonstrating Godlike qualities, having a voice speak to him from heaven in public (Matthew 3:17; John 12:28), raising a man from the dead (John 11:38-44), and personally rising from the dead didn’t convince these people, then simply saying “I am the Son of God” would have done nothing. This explains why Jesus sternly commanded demons and other humans to be silent about his identity during his earthly ministry. He didn’t want people focusing on the miracles he performed, but rather on the message he proclaimed and the death he was going to die. But not so at his return. At that time, when he comes to judge the nations and rule the Earth, he will very prominently proclaim his identity. “On his robe and on his thigh [he will have] a name written, King of kings and Lord of lords” (Revelation 19:16). Jesus, the Savior with short, quick answers; He often answered a question with a question, making you step back and say, ah well, did I really need Him to answer that? “I am that I am” .. “Who do they say I am?” Our Master, the coolest creator. Thank you guys for your articles; I save them in my mail for when I have time to read and ponder them. Thank you and God bless your endeavors! You’re absolutely right, Carol. Jesus was very direct and concise, and this is why people were amazed that he spoke with authority. Thank you for your kind words, and we hope you enjoy our future articles, as well! You’re absolutely correct, Fonda, and I very much appreciate your kind words. The Holy Spirit is the one who opens hearts and minds, and we would be no better than Doubting Thomas without the illumination of the Spirit. I hope you enjoy our future articles, and as usual, feel free to ask questions or make suggestions in the meantime! Very very interesting . . . . I could sure use this with a friend at work that I’ve been discussing this with. Thanks, Vinh. Amen, brother. Keep up the good work! !